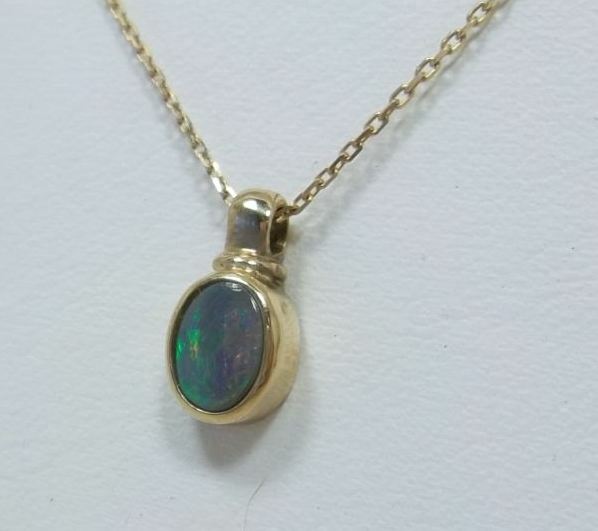 Quality and beauty combine in this beautiful pendant with an oval shaped solid opal matched with 9kt Gold. 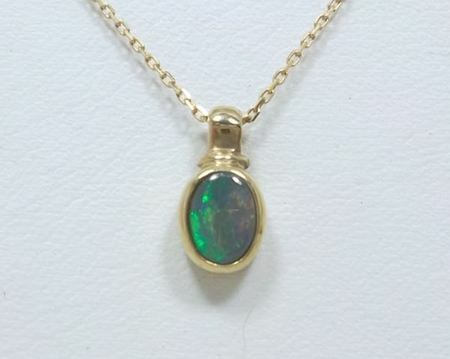 The pendant is suspended from a fine 9kt Gold chain that is 400 mm long. The opal is approximately 8mm long. Hallmarked "375".